Ever felt like you were under a lot of stress? Well, you’ve never seen stress like I’m about to show you in this case study. That’s right. This is an extreme hypothyroidism case study. I have all clients fill out our Thyroid Symptom Checklist. It’s not uncommon for clients to check off 20 to 30 thyroid symptoms on the list. This young woman checked off 69 of them. No wonder she feels so horrible. I wrote previous about the Thyroid-Adrenal Stress Cycle. 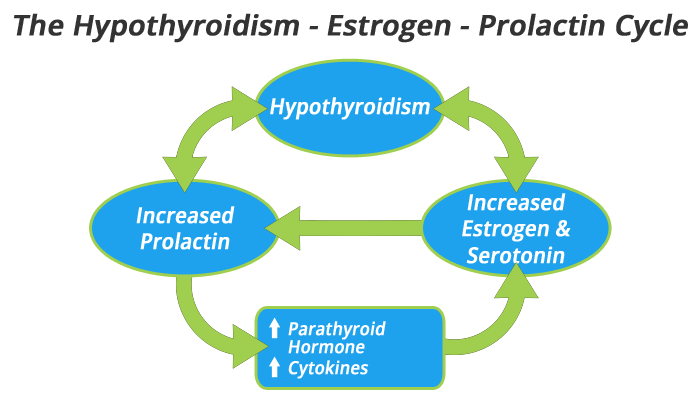 In short, this is a self perpetuating cycle where hypothyroidism increases one’s production of stress hormones while those stress hormones further suppress thyroid function. 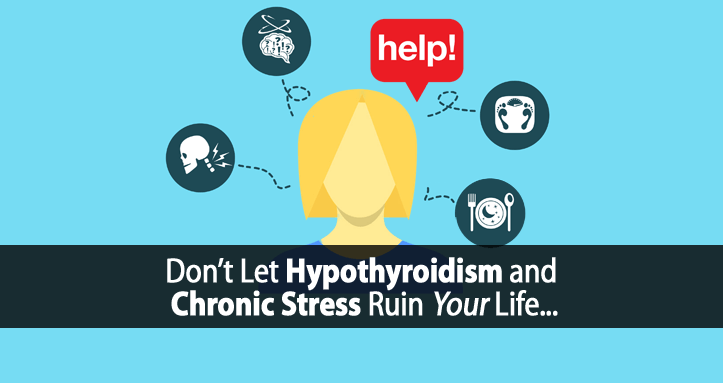 Hypothyroidism isn’t the only thing that triggers this stress cycle. Severe acute stress can trigger it as well. As it turns out, our case study subject was first diagnosed with hypothyroidism and Hashimoto’s Thyroiditis after receiving a shot of adrenaline (a potent stress hormone). A year later, she suffered a broken back in a motorcycle accident causing her thyroid condition and health to spiral out of control. If that’s not severe acute stress, I don’t know what is. Now, here’s the clear giveaway that her stress response is overactive and that she’s overproducing stress hormones. Take a look at her body temperature throughout a given day. Basal Waking Temperature: Commonly elevated. Post Meal Temperatures: Often decline. Afternoon Temperature: Consistently above normal. When we see consistently elevated body temperature, it typically points to one of two things. 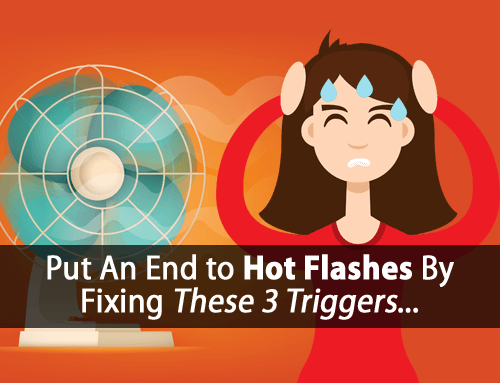 Severely elevated stress hormones will artificially raise your body temperature. Whenever excessive stress hormones are produced, we want to figure out what exactly might be triggering it. We do this by looking at diet/nutrition logs, temperature and pulse logs, labs, symptoms, health history, etc. All four of these can occur as a result of hypothyroidism, and all four are well known to strongly activate your body’s stress response. What’s interesting is that we didn’t find just one or two of these thyroid-stress activators in our case study subject. When you become hypothyroid, you’re liver can’t store and release sugar efficiently. So, you become prone to hypoglycemia and poor blood sugar handling. When blood sugar drops, stress hormones are produced to help regulate your blood sugar by stimulating your liver to release sugar and by breaking down muscle tissue in your body to convert into sugar. When this hypoglycemia-stress hormone cycle continues long term, it triggers the onset of insulin resistance and diabetes. Estrogen dominance (excess estrogen and/or progesterone deficiency) is well known to activate your body’s stress response. Excess estrogen activates your adrenal glands both directly and by increasing adrenocorticotropic hormone (ACTH). Serotonin wasn’t measured, but I’m certain if it was, it would be elevated too. This is because excess serotonin goes hand-in-hand with excess estrogen by way of the Hypothyroidism–Estrogen–Prolactin Cycle. We’ve already verified elevated estrogen and prolactin. 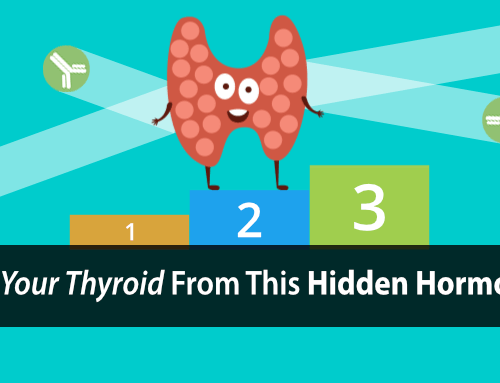 Labs also verified elevated parathyroid hormone (PTH), all of which implicate serotonin. Last, but not least, we have endotoxin. Endotoxin is a byproduct produced by bacterial overgrowth in your intestines. 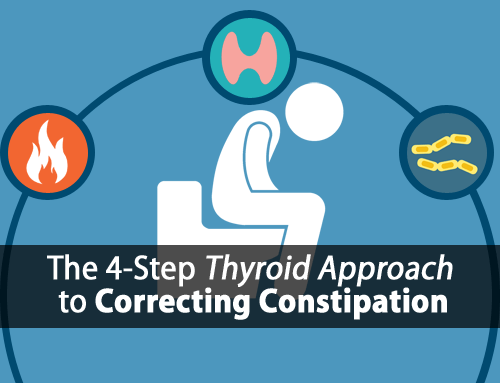 Studies show that hypothyroidism makes you more susceptible to small intestine bacterial overgrowth (SIBO). It just so happens that our subject was also diagnosed with SIBO, making endotoxin a problem too. As you can see, there is a lot going on with this case study subject. She is stuck in the Hypothyroidism-Adrenal-Stress Cycle with her stress response being activated by all four primary thyroid-stress activators. Plus, she’s showing signs of insulin resistance and severe liver dysfunction. This isn’t going to be a quick and easy recovery. With so many complications, it’s going to require some experimentation to determine the most effective path to healing. Without a healthy liver, you’re odds of restoring thyroid function are nil. You simply won’t be able to get stress hormones under control. Since hypothyroidism (or lack of thyroid hormone) contributes to all four primary thyroid-stress activators, then it should make sense that restoring thyroid hormone levels is essential to suppressing the stress response once and for all. However, thyroid hormone often needs to be introduced and increased in small amounts (to toleration) when stress hormones are extremely elevated. This process is necessary, but can take some time. The next anti-stress hormone is progesterone. Progesterone strongly suppresses the body’s stress response in large part by its opposing effects on estrogen, while also helping to restore proper function of the thyroid gland. Due to the subject’s significant estrogen excess, a larger dose of progesterone will likely be needed. Since the subject is still menstruating, we can also use Vitamin E to further suppress estrogen during times of the menstrual cycle when progesterone isn’t used. Studies show that Vitamin E can lower estrogen by up to 55% in 10 weeks. The third and final anti-stress hormone is pregnenolone. 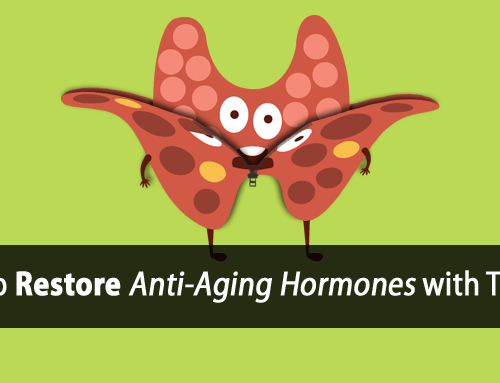 Pregnenolone has many similar effects as progesterone and has been shown to lower cortisol levels by up to 60%. Limiting dietary starch can help with a number of the subject’s underlying issues. It can help decrease fatty liver, improves insulin resistance, and helps to lower endotoxin. Instead of getting carbohydrates from starch, the subject should focus on higher fructose sources of carbohydrates such as fruits, keeping carbohydrate intake in moderation until the insulin resistance is corrected. In insulin resistance, you can’t delivery sugar to your cells, so consuming large amounts of sugar can lead to a significant rise in blood sugar. Instead, focusing on slow yet frequent intake of fruit (combined with collagen protein) can help keep blood sugar elevated enough to prevent activating the stress response, without blood sugar rising too high. The endotoxin issue should also be addressed by the use of bamboo shoots and/or cascara. In hypothyroidism and chronic stress, sodium is wasted rapidly. So, it wasn’t surprising to see the subject’s labs indicate low sodium levels. Sodium is essential for keeping stress hormones low (adrenaline in particular) and regulating blood sugar. Suppressing the body’s stress response is essential to restoring insulin sensitivity. For many, it’s best to focus on restoring liver function first. Aside from what has been mentioned thus far, using therapeutic doses of Vitamin B3 (niacinamide) and/or aspirin is where we start. As you can see, this turned out to be a more complicated case study. But, by using the tools and resources we have at our disposal (diet/nutrition logs, temperature and pulse logs, labs, symptoms, health history, etc. ), we’re able to make some sense out it all. It’s also important to understand that the more stress we are under, the more thyroid hormone we need to compensate for that stress. If our case study subject was properly treated from the beginning with thyroid hormone, when her hormones began to spiral out of control, it could have prevented many of these unnecessary health complications and now severe symptoms. And of course, the more hypothyroid you become and the more complications you develop, the longer the road to recovery. Tom – I’m confused about starchy veges for hypothyroid diabetics (HDs). Are you recommending HDs avoid the root veges like potatoes and squashes as well as grains? Hi Kathy, yes focusing on fruits/fructose would be recommended since diabetics can still metabolize fructose without insulin and it improves glucose tolerance in diabetics too. So,are grains out of the picture? Oats help with serotonin levels. What about nuts,nutbutters,and nut milks? How about dark chocolate? When making homemade oj,do I strain pulp or leave it in? I usually just blend the orange with water. Why can’t I eat salads with meals? Beans and legumes? Can I make applesauce with water instead of apple juice? I have a phlegm problem with milk in smoothies,an alternative? Can I eat any fruit or just grapes and apples? Sub other berries for strawberries? Help? Can you please elaborate on when exactly a mestruating woman must take vit. E? It’s not ok to take it every day? Vitamin E can be taken daily. Hi Tom ,I think the biggest problem is finding doctor who know that field very well . Exactly what you said – good interpreter. What happens when all thyroid meds (and I have tried them all including the desiccated one) upset my stomach? I always enjoy the wealth of information your articles provide. I recently had a neurotransmitter test and cortisol (at 4x in one day) I am trying to minimise my stress but still experience it. My question is all 4 cortisol tests had me way below the low end of the scale. No wonder I’m experiencing extreme fatigue. What would cause this and how would I rectify this? Hello- You mentioned Taurine in this article. How much to take and name a good manufacturer as I believe you dont sell it. Hi Tom! Accept from me personally the words of gratitude. I live in Russia, my specialty – a doctor, has hypothyroidism for more than 35 years. I am a big fan of the works of RAY PEAT, reread all the articles on your blog and with admiration I can say that you are a wonderful follower of his ideas. I wish you good health and further creative success. Sincerely yours. Hi Tom. I too have enjoyed reading your articles. I have very high stress levels, which I didn’t realize was causing my severe insomnia. Since I’ve started the Daily Protocol and salted oj before bed it’s improved dramatically. I’ve actually slept harder than I have in years for a whole week, so thank you! Now I’d like to progress by taking more of your suggestions such as your thyroid med, progesterone, vit e and pregnenolone. My concern is that I’ve read where you mention to slowly introduce T3 because with high stress it can initially make your heart rate increase even more. If that’s the case, should I open the capsules you have and divide the dose? If so can I add it to oj? Also, would it be best to start this process with all the suggested meds? Or start w/T3 and then introduce the other ones? Hi Lana, it’s best to introduce thyroid hormone slowly. Many of my clients start by opening the capsules and using 1/2 or less at a time and taking it by mouth. The other supplements we use all work in different ways. There’s no need to wait to introduce them. Hi Tom, Please tell me how much is a therapeutic dose of B3 Niacin in mgs? If I am doing everything according to your HR program, how long does it take to start getting the stress hormones under control enough that I can increase thyroid meds. safely? I take Armour Thyroid because of RAI, in the past I’ve had horrible hyper symptoms if I increase it out of my comfort zone…however, my comfort zone is still slightly hypo with a low fT4…on 90-105mgs. 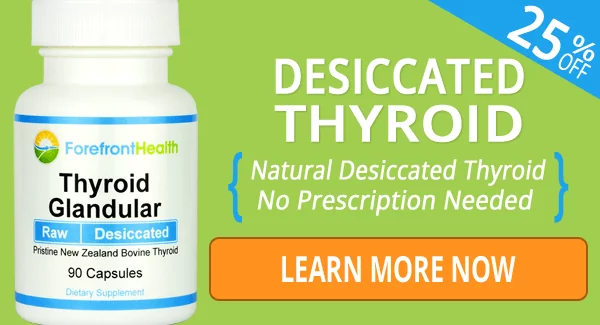 Or perhaps, I won’t need to increase my thyroid meds at all; maybe I’ll be able to start using my current dosage of thyroid medicine better at the cellular level now that I am following your diet and supplement recommendation. Is that a reasonable expectation as well? Thank you for all that you do…your research work is amazing! Hi Tom. First of all, I thank you Enormously! For all the amazing information about our thyroid gland. My straggling with this issue goes back to pretty long time. You named it, I have it. I wist to be able to talk to you to guide me with all the supplements I need to improve my life. God bless! Hope you’ll see this message.